OFFERS DUE: Thursday 4/18 at 3PM. Welcome home! 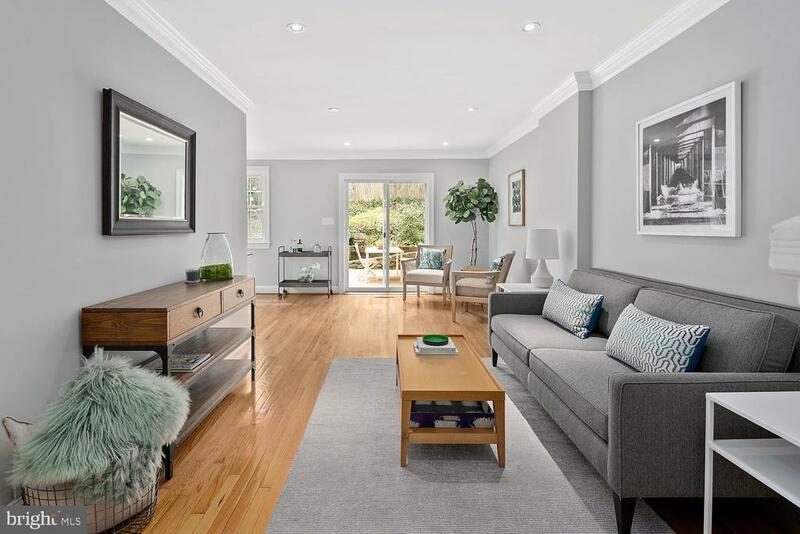 Spacious and bright semi-detached townhouse in N. Cleveland Park, featuring 3 floors, 4 bedrooms, 3.5 baths, 1 car garage parking, and tons of fantastic updates. Gleaming hardwood floors, fresh paint, and large windows for plenty of natural light throughout. Newly updated kitchen with stainless steel appliances, new butcher block counters, large picture window. Main level with great flowing floorplan, light-filled dining room with chic modern chandelier, and convenient powder room. Huge master bedroom with ensuite bath upstairs, 3 additional bedrooms, and 2nd full bath with new flooring & extra washer/dryer hookup. Finished lower level with separate entrance, laundry room, full bath, and a plethora of storage space. Enjoy the outdoors on the spacious rear deck backed by cascading landscape, perfect for relaxation and summer cookouts. The perfect in-town location. 4 blocks to Van Ness/UDC Metro and 4 blocks to Tenleytown/AU Metro. Easy access to great dining (Bread Furst, Medium Rare, Indique), activities (Comet Ping Pong, AMC Uptown Theater, Wilson Aquatic Center, Tenleytown Library), and retail (the Calvert Woodley, Giant Supermarket, Whole Foods Market, Politics & Prose). Forest Hills playground, UDC tennis courts and Melvin Hazen Park and Trail nearby. Enjoy the convenience of the city and the quiet comfort of the suburbs all in one exceptional home!